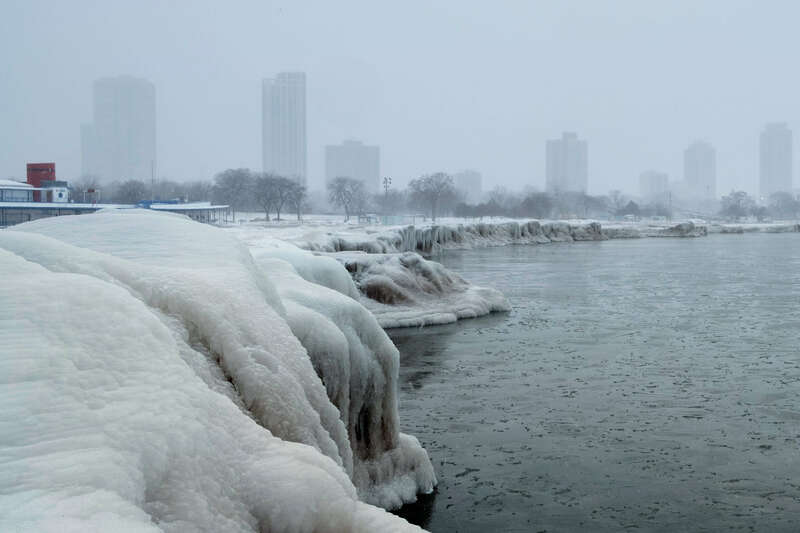 Photo Credit: CNS/Pinar Istek, Reuters - The banks of Lake Michigan are seen frozen with the Chicago skyline in the background Jan. 29 as bitter cold sweeps across much of the central and eastern United States. Hundreds of schools and several large universities closed their campuses Jan. 29 as temperatures plummeted across the Midwest, with forecasters warning that the frigid weather would get worse and could be life-threatening. The deep freeze that plunged much of the Upper Midwest into historic and dangerously low temperatures was a matter of life and death for many of the area’s homeless at risk of frostbite or hypothermia.